Our tradition began four generations ago, in 1934, when our grandfather- Sor Domè- turned his passion into a business. 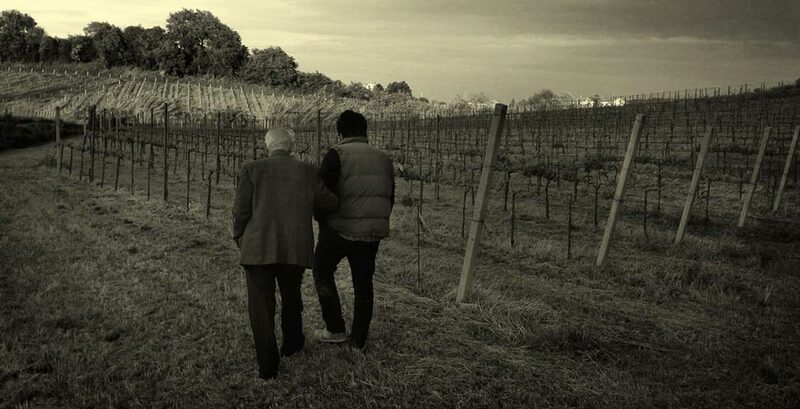 Our grandfather, together with our father, Onorato, established a riverside vineyard in Aso Valley, in the Marche region. In recent years, my brothers and I have become actively involved. As custodians of our grandfather's vision, we converted the vineyards into organic farming and we increased our innovation investments in the cellar, next to the Adriatic Sea. Today, the four generation collaborates too; in fact, my niece Martina studied oenology at Hochschule Geisenheim University in Germany and at Università degli Studi di Udine here in Italy. The whole family has the goal to make wines that will stand the test of time.